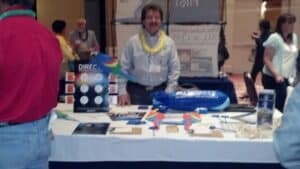 We wanted to wish everyone that came out to the Albuquerque Hispano Chamber of Commerce Luau Mercado a hearty thank you. This was one of the most festive events that the Hispano Chamber has put on this year and we had a blast. We hope you did too. 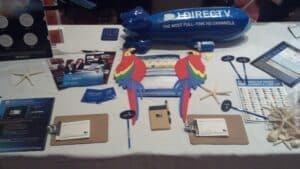 We had some great specials running for DIRECTV for your Business, your Hotel or for your Home and if you did not get a chance to speak with us about them, please give me a call today at 505-296-9423 & just say you met me at the Mercado. If you already have DIRECTV, take advantage of our Refer-a-Friend to help your friends and family get the best value in TV for their home or DIRECTV for their business. Both you AND your friend will get $100 in bill credits when they sign up for DIRECTV through Its All About Satellites. Thanks again & I hope to see you at the next great event.